Before my first visit years ago I thought Bali was a town in Indonesia. As it turns out, Bali is an entire island made up of many different towns, all unique and different. 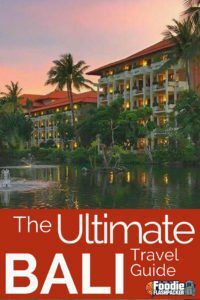 Having just finished a second visit spending a collective three months exploring Bali, I’ve developed this Ultimate Bali Travel Guide. Here I’ll break down what to see and do, where to stay, and where to eat in some of the most popular towns in Bali. Seminyak is a suburb in northern Kuta. While Seminyak definitely has many visitors and a larger party scene than most other places in Bali, it’s less infamous than Kuta, which has earned a bad reputation for being full of drunk tourists. 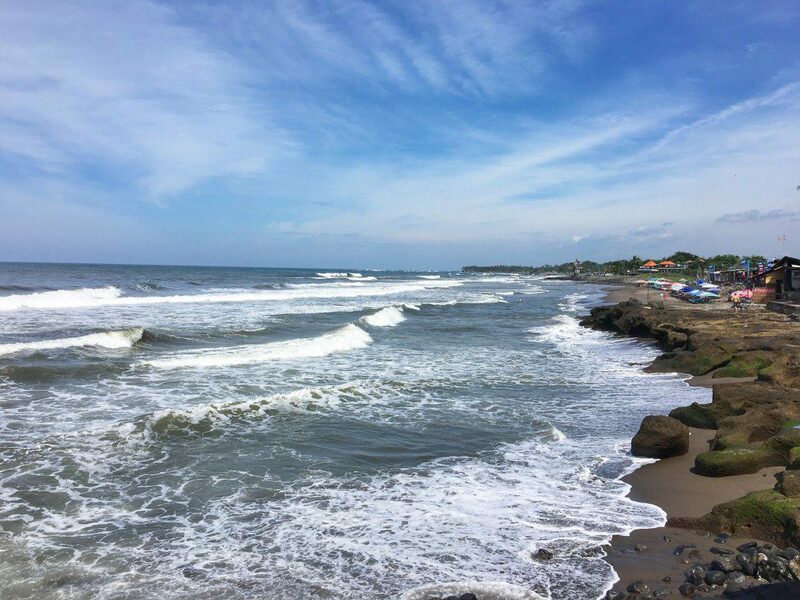 Many feel this area isn’t as “bad” as Kuta, because the prices are some of the highest in Bali and keep many of the budget travelers out. Shopping- Seminyak is famous for shopping. The busy main street is lined with everything from boutique local shops to high end designers. You can find endless rows of stores to pick up something for yourself or souvenirs for friends and family back home. Hit the beach- The beach in Seminyak isn’t the most beautiful in all of Bali, but it is pleasant, and made more so by the trendy spots for lunch or sunset cocktails that line the shore. You can spend the day relaxing, sunbathing and eating lunch delivered right to your sun bed before patroning one of the many beachside bars and restaurants for a sunset cocktail. Nightlife- Seminyak definitely has an active nightlife scene. With drink specials and various bars and clubs competing to get you in the door, you’ll definitely be able to find whatever you’re in the mood for. The Mirror Lounge and La Favela are two of the most popular spots. Seminyak has emerged as the foodie capital of Bali. Here, you can find everything from high-end restaurants to some of the best street food in the country. 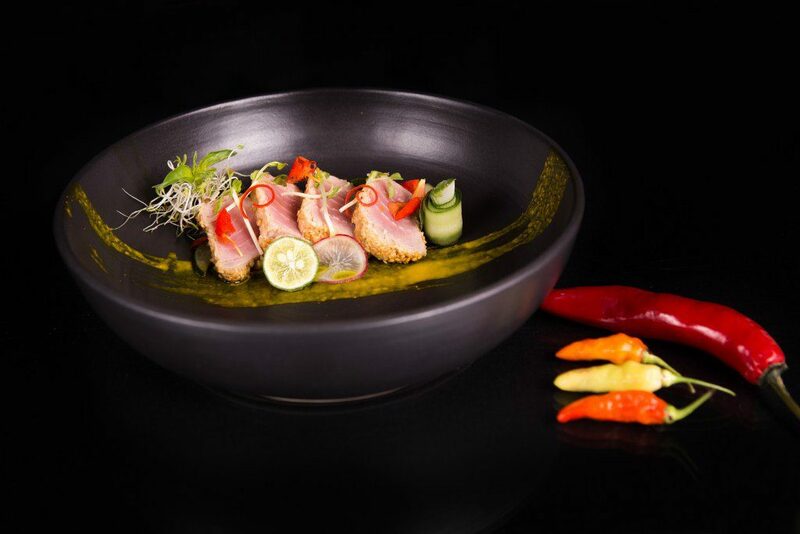 For high-end dining, make sure to check out Teatro’s degustation menu. Eating here was more of an experience than a dinner. Each dish that emerged from the kitchen was insanely gorgeous, like edible art. If you decide to visit and experience this for yourself, I highly recommend you splurge and choose the menu with suggested drink pairings. For more casual eats, and something you don’t see a lot of in SE Asia, make sure to try one of the insane loaded macaroni and cheese skillets from Macheese Cafe. Macaroni and cheese is just one of those dishes that’s rare in this part of the world, so to when I not only find the dish on a menu, but then discovered it was very well done, it was a nice surprise. For a complete guide covering where to eat in Seminyak, click here. Grandmas Plus Hotel is an affordable, no frills option located a short walk from the beach. The rooms were small but clean, the wifi was some of the best I found on my trip, and the staff were all incredibly helpful. There is also a constant stream of taxis waiting outside to take you wherever you want to go. Canggu is often described as a “hipster hangout”, and probably for good reason. Canggu is a small surf town where many who work online choose to base themselves. It gets some tourism traffic, but not nearly as much as many other areas. After spending a collective three months in Bali, I’ve come to the conclusion that Canggu is my favorite location and the only town in Bali I could see myself living in. The laid back surf community atmosphere, paired with fewer tourists and trendy shops and restaurants, make it ideal. Surfing- Whether you’re a beginner or an expert, Canggu has beaches appropriate for everyone. Many people would spend the morning surfing before grabbing lunch and hitting a cafe or coworking space to work the rest of the afternoon. Canggu does not lack amazing eating options. Many of the trendy restaurants feature organic ingredients and focus on healthy choices. This is a surfer community, after all. My can’t miss choice for breakfast/brunch would be Crate. I could have eaten here every morning. The menu was full of delicious options at affordable prices. 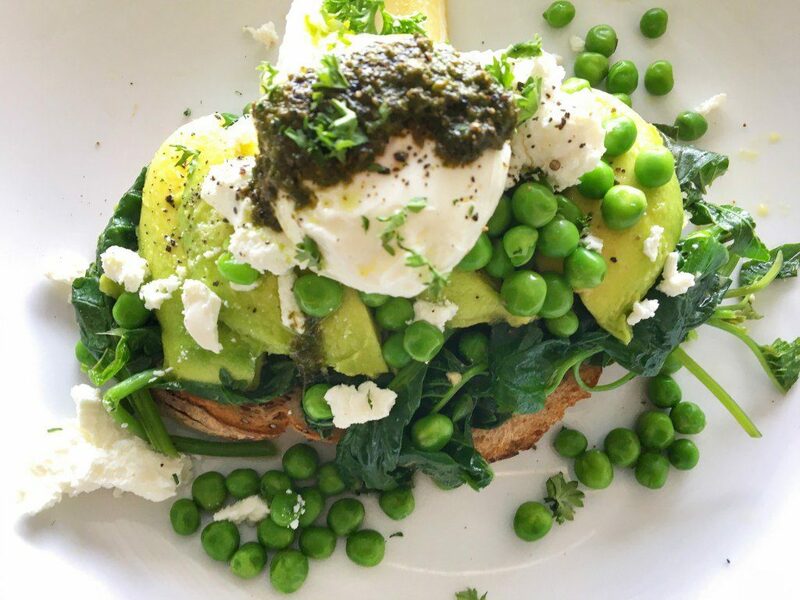 Make sure to try the Peas Please- spinach, avocado, and peas on toast topped with a poached egg, cheese and pesto. It makes the perfect light start to a day. For a complete guide covering where to eat in Canggu, click here. The Kayuri Guesthouse was the perfect base during my time in Canggu. Centrally located, the rooms are basic but clean and comfortable. The management were very friendly and is happy to help you arrange for motorbikes during your stay if you require. Nusa Dua is a resort town in the south of Bali. 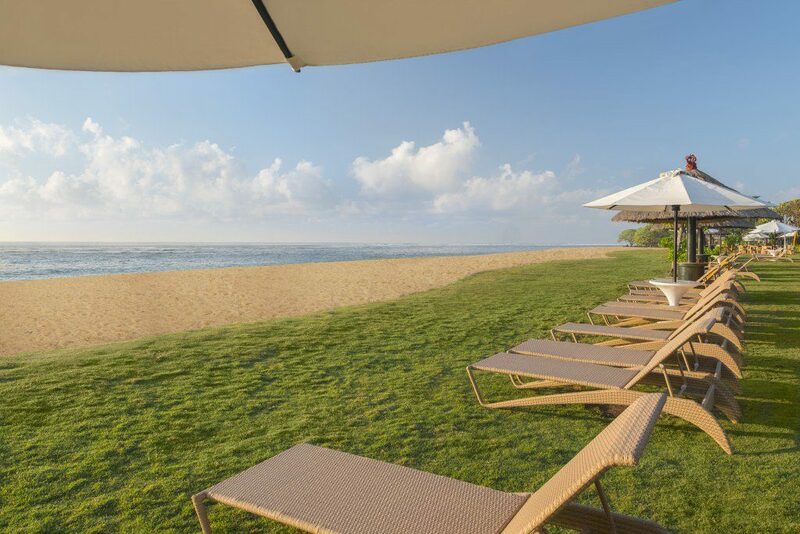 While there are some small hotels and guesthouses in town, the beach is lined with high-end resorts, so most of the activities Nusa Dua offers are arranged by and handled through your resort. I decided to stick around for a couple of days after leaving the resort and was honestly bored. If you’re a budget traveler and want to visit Nusa Dua, this is one point in your trip where I would encourage you to splurge a bit. Most of the beaches are private, so if you do decide to stay in town at a smaller, more affordable guesthouse, you’ll have to pay to visit the beach anyway. Hit the beach and top up your tan- I honestly didn’t find much to do in Nusa Dua other than enjoy the beaches. If you’re traveling long term or on an extensive trip around Bali, you’ll definitely want to plan to slow down here. The beaches are gorgeous, and the town doesn’t have the party scene you’ll find in other areas, so grab a book and a towel and find the nearest sun bed. If you’re staying at a resort, you’ll likely eat there most of the time. Because most of the resorts are high-end, you’ll probably be impressed by the quality and selection wherever you stay. 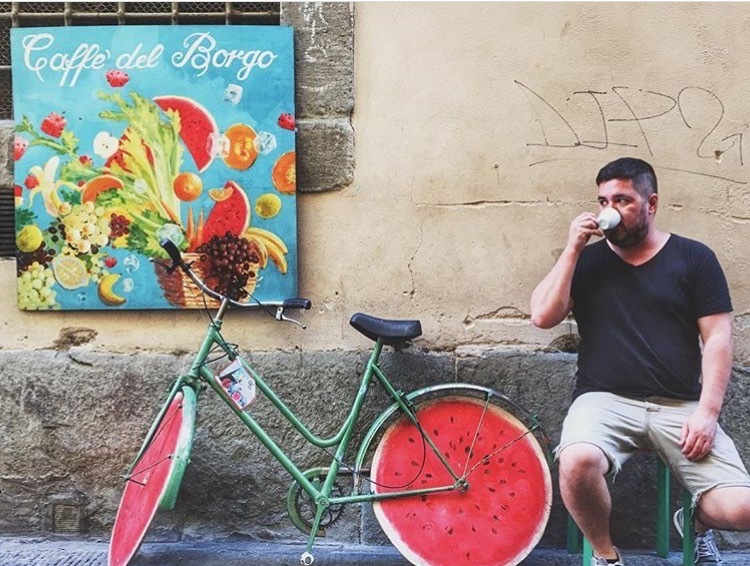 If you choose to stay in town, there are a number of budget friendly options ranging from street side BBQ spots to Indian restaurants and some surprisingly great pizza I found at Nusa Dua Pizza. The Ayodya Resort was the perfect place for my stay in Nusa Dua. The resort is gorgeous, perfectly placed along its own stretch of private beach, and has many restaurants that suit everyone’s tastes. If you’re not in the mood for the beach, the property also has multiple swimming pools, a spa, and exercise facilities. For my complete review of the Ayodya click here. Jimbaran is a fishing village on the south end of Kuta. Recently, many resorts have built up properties in this small town. The beach in the main town features typically calm waters with small waves, making it an ideal setting for families. Fish Market- Every morning the local fisherman sell their fresh catches to businesses and individuals alike. Even if you’re not planning on purchasing seafood, observing the process and haggling going back and forth make for an intriguing visit. If you do choose to buy, several small restaurants will grill up your purchase for you and provide rice, vegetables and soup as well. Or, if you choose to stay in a nearby serviced apartment or Airbnb, you can take purchases home to cook yourself later. Seafood dinner on the beach- Visiting this fishing community gives you access to some of the freshest seafood in all of Bali. Many of the restaurants that line the beach allow you to choose your own seafood and specify how you want it prepared. Grab a beer, choose a table, and watch the waves come in while the cooks prepare your feast. Kuyamanis Resto- Do yourself a favor and make a reservation a the Kuyamanis Resto during your stay in Jimbaran. All of the dishes we tried here were incredible, and their presentation was impeccable. The restaurant is set within a tropical garden, which gives it an intimate feel. Not only are the dishes delicious, but the restaurant prides itself on providing incredible service to their guests. AKAU Bali- AKAU Bali is a Spanish beachside restaurant that introduced me to my new favorite fish- barramundi. The menu features Spanish dishes with fresh local ingredients. The setting is modern and sleek, and you can even take in sunset views from the rooftop. I’d recommend any of the seafood dishes- the owner proudly serves the freshest fish possible. The Bali Breezz Hotel had a great location, multiple swimming pools, consistent wifi and incredible staff. What more could you ask for? I will gladly book this property again during my next visit to Jimbaran. If I had to choose my second favorite spot in Bali, it would be Sanur. Sanur is packed with great places to eat, a lot to do, and gorgeous beaches without the crowds common in other parts of Bali. Overall, the town has a quiet and relaxed feel and is frequented by more middle-aged travelers than younger backpacker types. Organized tours- I found that Sanur offered the best prices for organized river rafting, jungle trekking, ziplining, day trips, and other tours. I was also able to find the best prices on ferries to the Gili Islands from Sanur. Scuba diving- Many of Bali’s most established dive sites are located in Sanur. Be sure to talk with the different shops and compare prices to find the shop you’re most comfortable with. For such a small town, Sanur is loaded with incredible dining choices . My number one favorite pick, and where I found myself over and over again was Soul in a Bowl. I loved their menu, their staff was incredible, and it was a great place to take my laptop and spend the day working. On several occasions I came for brunch but ended up working until it was time to order dinner. Kirana Homestay was so pleasant that, when I found myself in Sanur for a second time, I booked another stay. In fairness, you can probably find many similar guesthouses in the area. It’s basic, not upscale, but it’s clean and the staff were amazing. Uluwatu is famous for its dramatic limestone cliff coastline. The beach is famous with surfers, but is largely missed by most visitors to Bali. Uluwatu Temple- Even people who choose not to stay in Uluwatu will make a day trip to visit one of the most famous temples in Bali. Make sure not to miss a visit to this landmark during your stay! 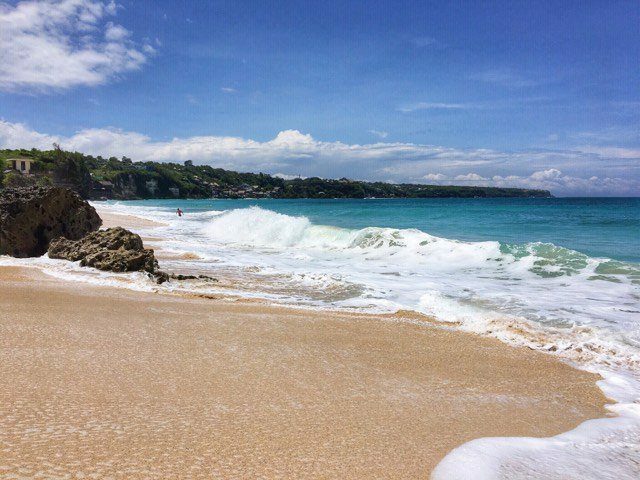 Visit Dreamland Beach- A short scooter ride away from the main town, you’ll find Dreamland Beach, my favorite beach in Bali. The waves here are much larger and stronger than in the main town, so this may not be the best beach to visit with children. Rent a motorbike- If you’re not an experienced motorbike rider, Uluwatu is the best place to rent and learn to ride a bike as you explore the surrounding area on your own. 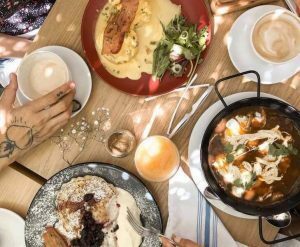 Cafe La Paison- Easily our favorite find in Uluwatu, Cafe La Paison is slightly out of the way, but definitely worth the trouble to find. The restaurant has a laid back, casual, yet funky feel, and the menu is full of creative offerings. Make sure to come in the evening for a happy hour featuring two-for-one specials and live music every night. The restaurant even has their own pool, so feel free to come to lunch or dinner in your swimsuit! The Devata Giri Homestay offered basic but comfortable rooms in an ideal location. This guesthouse is situated between two of the most popular restaurants in town, and they are also happy to arrange motorbike rentals. Ever since ‘Eat, Pray, Love’ put it on the map, Ubud has become a must see for visitors to Bali. When I first visited two years ago, I thought it was busy, but during my most recent visit, it was downright crowded. 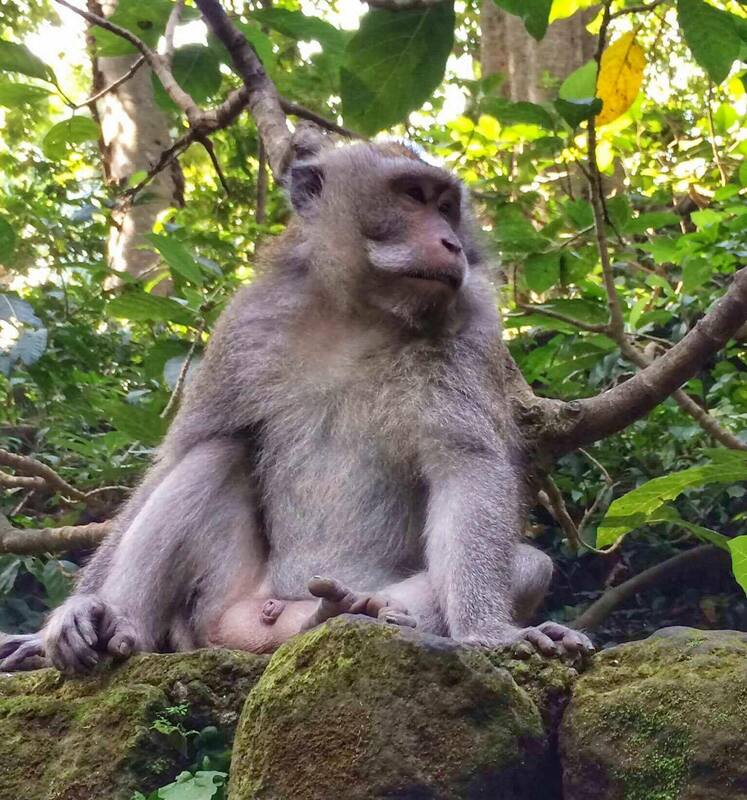 Monkey Forest- No visit to Ubud is complete without a stop at the famous Monkey Forest. But be careful– though the monkeys are typically friendly, they have been known to steal from tourists. Make sure your belongings are carefully packed away. 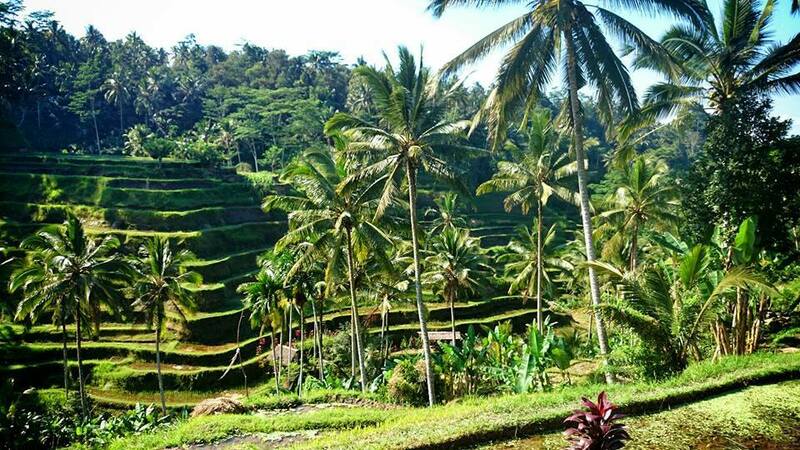 Visit the rice terraces- If I had to describe Ubud in one word, it would be green. Or, if I wanted to sound more cultured, verdant. The entire area is surrounded by lush rice terraces. You can rent a motorbike and explore on your own, but if you want to visit the most famous terrace, known as Tegalalang, most go with an organized tour or hire a driver for the day. Souvenir shopping- Ubud is the traditional crafts center of Bali, so it’s the perfect place to stock up on souvenirs for friends and family back home or pick up local home decor to remind yourself of your visit. Because of it’s popularity with tourists, Ubud features tons of amazing restaurants to choose from. 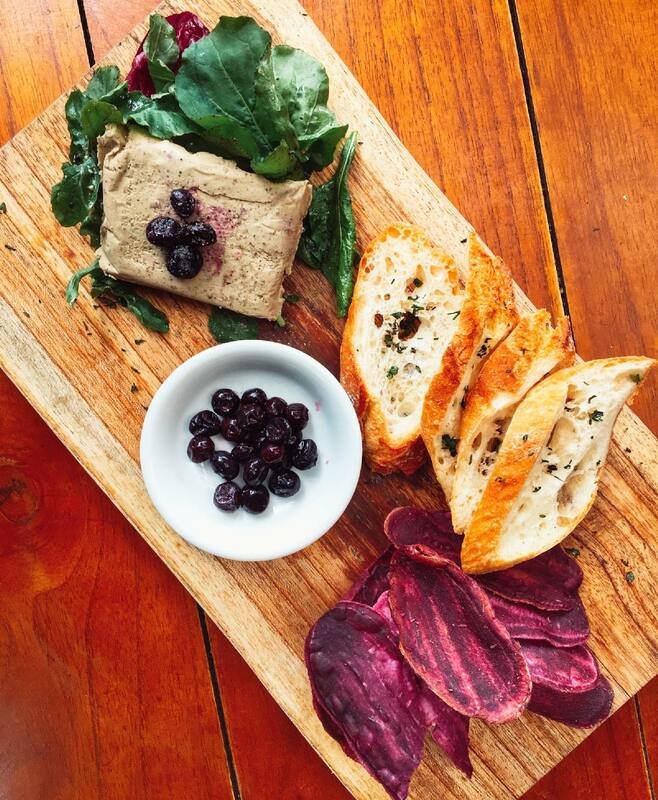 The town caters to the vegan-yoga-holistic crowd, so expect plenty of healthy options. But never fear, meat eaters, there are still plenty of options for us to choose from! 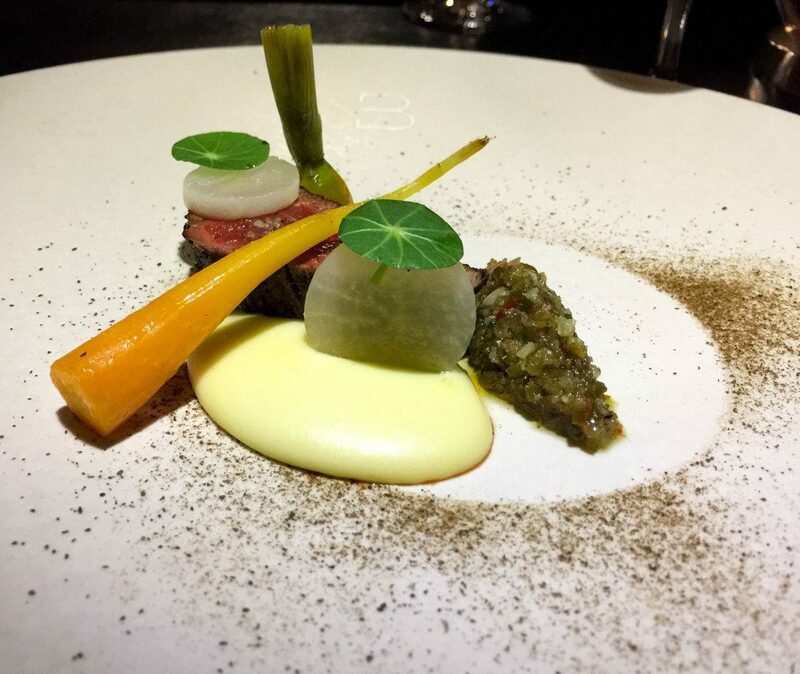 Blanco par Mandif- For a dining experience that rivals any Michelin star restaurant, be sure to check out Blanco par Mandif. We opted for the ten course tasting dinner with drink pairings and were both impressed with the entire evening. The food was unbelievably delicious. They used complex techniques and the freshest locally sources ingredients to create plates that looked like edible works of art with intricate, sometimes surprising flavors. The drink pairings were well thought out, and even though I was skeptical of a few of the combinations, they all worked. Warung Babi Guling- also known as Ibu Oka, Warung Babi Guling is one of the most popular restaurants in Ubud. Their famous roasted suckling pig dish, known as babi guling, can actually be found all over Indonesia, but they are said to have the best. The pig is slow roasted and served over rice with a simple soup and a side of crispy skin. Make this one of your can’t miss dishes during your time in Bali! The Desa Visesa is a high-end property set in an actual, working permaculture village. Staying here allows you to experience local life by participating in an assortment of cultural activities. The property also offers a spa and several restaurants to choose from. To read my complete review of the property, click here. I hope you find this Bali Travel Guide useful. If you have any questions I didn’t cover, feel free to ask them in the comments section below. Thanks for this extensive list of restaurants and places to stay in different parts of Bali. Will be very useful for my cousin who’s travelling there next month. They’re big foodies and I’m sure they will have a gastronomic fiesta trying out these dishes. Your food pictures are absolutely fabulous. Absolute delight. I have been to Bali thrice but looking at your recommendation, looks like I’ll have to go again. Fourth times a charm maybe? I haven’t been to Bali in years, but your guide sounds spot on and makes me want to book tickets there again. We stayed in Sanur and found it to be a perfect jumping off point. I think it’s important to really check out the accommodation, because some of the cheaper options will surprise you. I also loved Sanur. And yes, there were some really affordable options that were great. Small but clean and comfortable guesthouses that were family run by some of the nicest people. Bali has been on our bucket list for ages now, I believe it’s time for us to finally plan a trip there!!! I loved your photos, you just made me hungry! Then my plan worked, lol! I hope you get to visit soon. You’ll love it. I’ve always wanted to visit Bali and reading this blog has just made me want to go even more! I have always heard good things about the food in Bali, but your pictures are just something else! I want to try them all. I’ll definitely be using this guide for when we book our tickets! So helpful! I’m glad you found it useful! If you have any questions that I didn’t cover when you start to book your trip please just let me know and I’m happy to help if I can! Wow there is a lot more to Bali than what I had initially thought! This will be very useful whenever we actually get a chance to visit! I hope you get to visit soon! Bali is such an amazing place. I’ve never met anyone that went that didn’t love it there. I had no idea there was so much to Bali. I’ve really only ready about Ubud, but it sounds like there is so much more to the island! I’d love to rent a car there and drive around the whole island, to see each part for myself. Yes, I think after ‘Eat, Pray, Love’ most everyone knows about Ubud! Yes, renting a car or motorbike would be perfect for exploring the entire island. 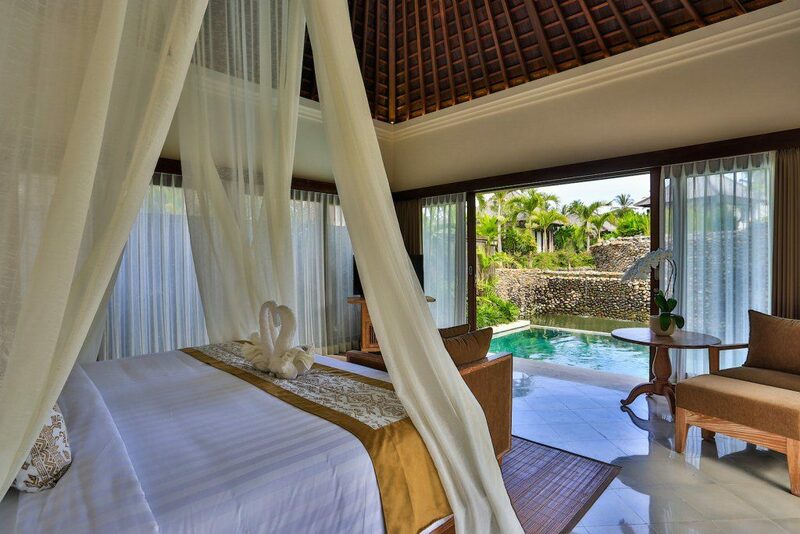 Bookmarking this one for my trip in July, I will be in Bali for 5 days. This post has everything I need. I know you’re going to love it there! Bali is one of my favorite places in the world. I may not be going to Bali anytime soon, but I thoroughly enjoyed browsing through your fantastic photos. Just by looking at them, I started thinking about picture-perfect vacation filled with great food, amazing beaches and sleeping in this breathtaking room in Desa Visesa. The note about typically friendly monkeys made me laugh: in my experience in Malaysia, monkeys pretended to be friendly for the fleeting moment while they were doing assessments of passersby belongings. After that, all bets were off. Haha- yes the monkeys can be less than friendly sometimes. I made the big mistake of walking into the Monkey Forest with a bag of bananas that I was planning on giving out slowly. One of the larger monkeys rushed me and stole the entire bag from me at once! Gorgeous photos! Bali is pretty near the top of my list and while the beaches look lovely it’s the rice terraces that I’d like to see most. It also sounds like a foodie heaven! The rice terraces are gorgeous! And yes, it has definitely turned into a foodie heaven. I was pleasantly surprised with how many great foodie options there are. Yes, Bali and especially places like Ubud have become very popular but there are still some less visited areas that are just as amazing. Bali sounds amazing and this is such an awesome guide! I never realised it was that big with so many different towns! Canggu really does sound like the town we would enjoy the most! Bali is also our last stop in SE Asia before we move onto Australia so we really can’t wait now! I hope you love it there! It’s an easy place to love. How long will you have to spend there? Definitely check out Canggu while you’re there. 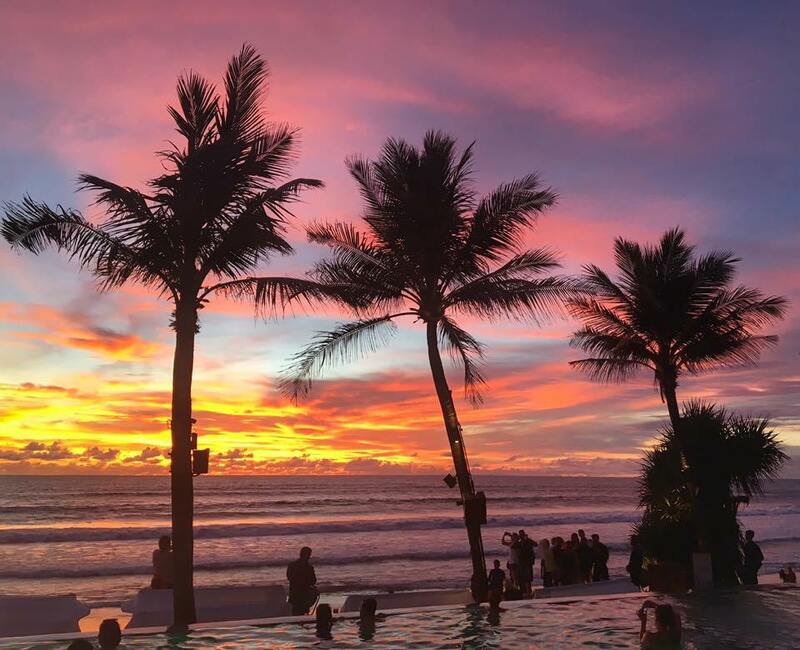 That IS an incredible sunset at Potato Head Beach Club! Wow! I’d sit for hours watching a view like that. 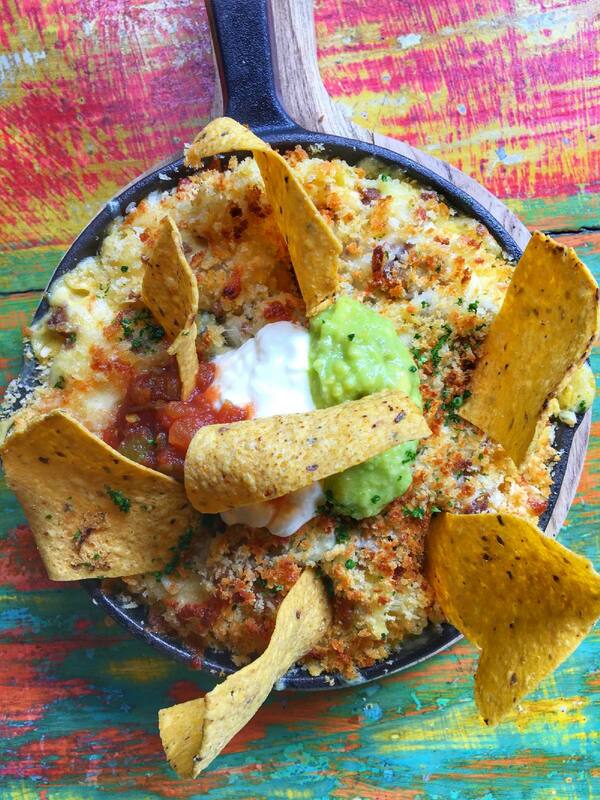 And that loaded macaroni and cheese skillet at Macheese Cafe looks incredible. I don’t usually order a mac n cheese meal, but I would definitely try that. Your photos are beautiful, by the way! I think I would be visiting the beaches at Sanur, too. Wow, how do you ever decide? It’s all so gorgeous! That sunset photo from Potato Head was one of my favorites– it’s so gorgeous there. Yes, the mac and cheese meal was a total calorie splurge but totally worth it. I haven’t been to Bali (yet), but this looks like such a helpful guide. Bali looks so exotic and your photos are stunning. Nice post! Thank you! I hope you get to make it there soon. It is really such an amazing place. How was the diving there? The best diving that I’ve ever done was in Komodo Nat’l Park but I know there’s good diving to be found all over Bali. Every since I saw Bali featured in the amazing race it was fast forwarded to my to-go-to-list. This is such a thorough guide, great work. With so much choices and a little something for every type of traveller I can see why it’s such a popular destination. You food pics are on point as always! Thank you, I appreciate you saying that! I agree that Bali has something for everyone. Having spent nearly three months there there’s still so much I didn’t get to see and do. I hope to make it back again soon. Thank you! I hope you get to make it to them the next time you’re in Bali. Sanur and Canggu are actually my favorite two places on the island. This is a great guide to Bali, there’s so much more to see on the island than Kuta, but that’s all a lot of people think Bali is. I love Ubud. 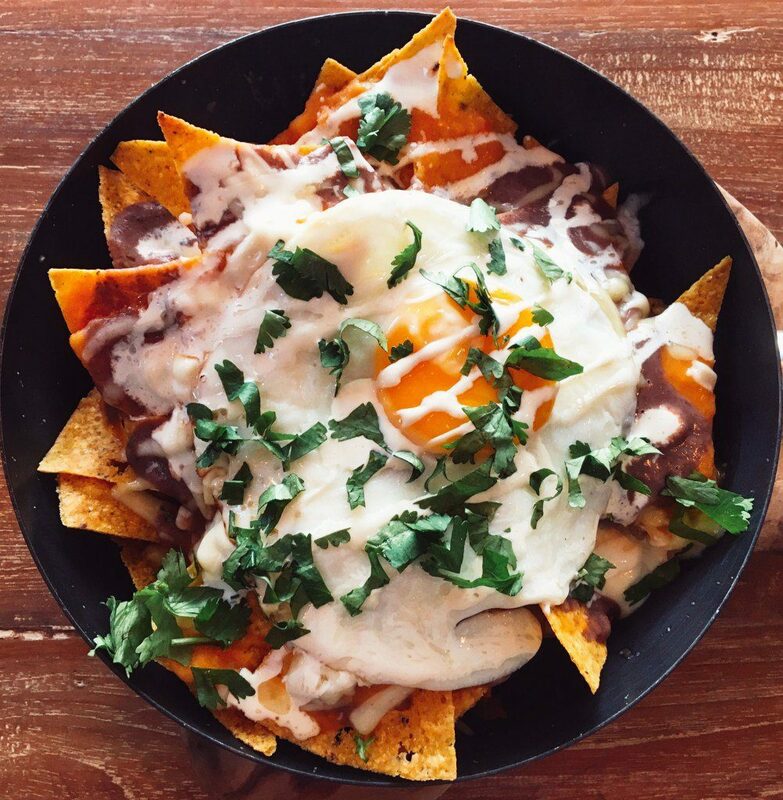 Those nachos look absolutely amazing by the way!! I visited Bali once and looking at your pictures make me miss it. I love the way you divided it into parts of Bali, great tips for accommodation, food, etc. I cannot even remember where I stayed in Bali but I will look it up, so thanks for the overview. We went to Bali three years ago and your post made me so nostalgic. I loved the food at Bambu Bali…fresh and delicious. 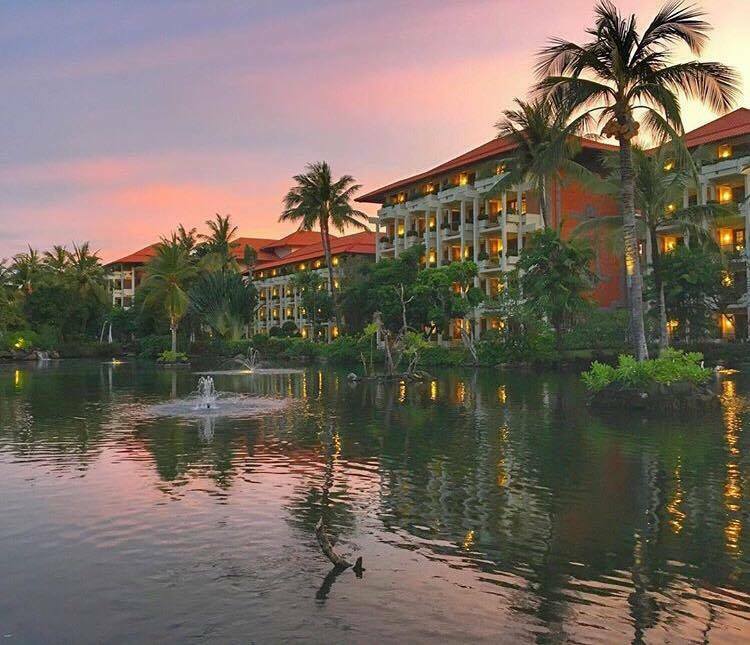 Also, we stayed at Nusa Dua…it was so romantic. Thanks for such a detailed guide. You’re welcome! I’m glad you enjoyed it. It was a fun post to “research”. I like that the food selections in Bali are mostly vegetables, fish, and seafood. These are healthy and appropriate to the surroundings of Bali. Your accommodations list is also great. I would love to stay in any these resorts if I have a chance to visit Bali. They all look peaceful and luxurious. Yes, in Bali there’s a big focus on healthy living, eating, etc. Especially in places like Ubud you’ll find many people focused on maintaining healthy lifestyles. I had been to Bali last year and covered almost all the places you mentioned above. But what caught my attention the most was North Bali. I think that’s the best place there. Nothing like trekking the Batur volcano at midnight. I hope to visit north Bali next time I visit! I heard a lot of great things about it. I hear it’s was less developed and touristic than the areas I mentioned. I knew that Bali was its own island, but I didn’t put two and two together and realize that there were different towns on the island itself, so this guide is definitely a great help to narrow down where to stay in Bali! I have heard many people stay in Ubud, but Canggu sounds like a great (less busy) alternative! Did you visit all those cities in a single trip or is this a collection of spots from many different trips? Thanks for the great post! I visited all of these cities on my last seven week trip but a few of them like Ubud I was revisiting from two years before. I definitely prefer Canggu over all the others as well! I didn’t realize there were so many towns in Bali. You certainly found some good food in each town, your pictures make my mouth water! 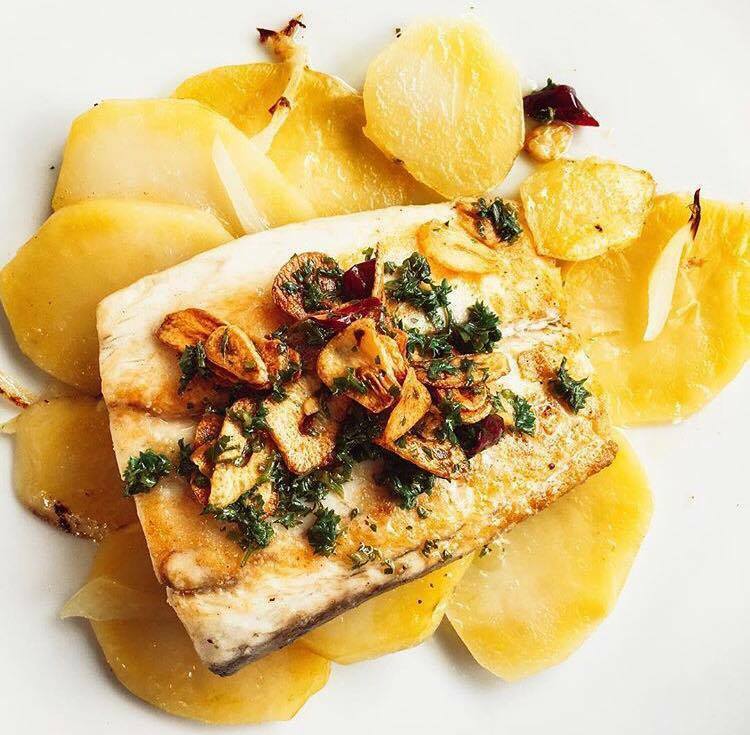 The plate at Cafe La Paison, Uluwatu looks absolutely delicious! Before I went I thought Bali was just a town also! I’ll always find good food wherever I go. Uluwatu was a highlight for sure. I hope to make it back there. Of course! I hope you get to go soon. That was my second visit and I absolutely love it there. Everybody is going to Bali nowadays so I am also thinking about it. But thanks for finally listing things down comprehensively. From food to nature and from wildlife to culture, everything seems incredible in Bali. I agree- Bali has gotten very touristic but for good reason! It’s such a beautiful part of the world. All of Indonesia is gorgeous actually. It’s a really amazing country. I’ll be going to Bali for my 40th birthday celebration in December. My visit will be extremely short considering the flight time. I’m only in Bali for 5 full days, staying in Seminyak. What would you suggest I do to get the biggest BANG!? You didn’t mention anything about visiting any elephant sanctuaries, is that a no-no? Also, would you suggest going to the northern part of the island to see the black sand beaches and did you visit any waterfalls while there? I guess I have a little anxiety due to the short time there. HELP!!! For me I think elephant sanctuaries are a no no. There are some in Chiang Mai, Thailand that are known to be ethical but I haven’t heard about any in Bali I could recommend. If you only have five days going to and from the north for the black sand beaches could eat up a lot of your time. If you’re in Seminyak book one evening for a sunset lounge at Potato Head Beach Club. 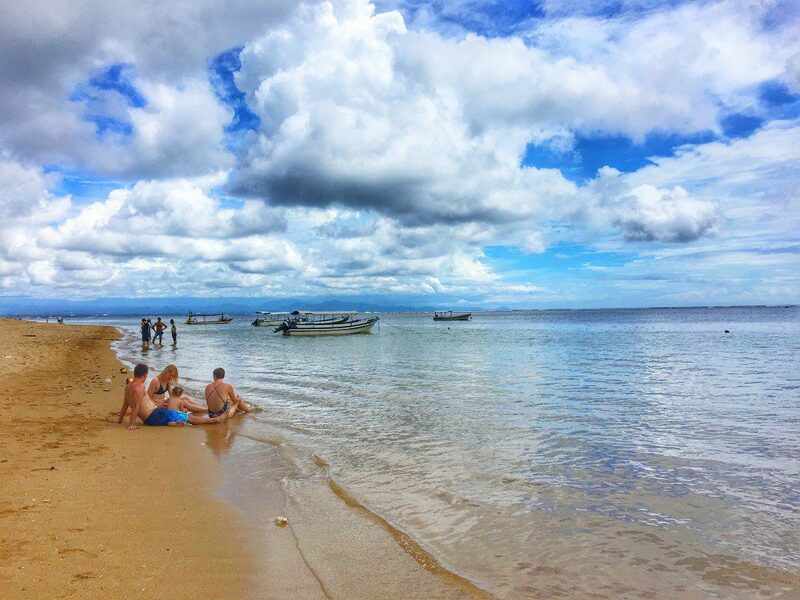 I was also recommend visiting Sanur- it’s about 45 minutes by taxi. Canggu is my favorite but the beaches aren’t great. You could book a day trip to visit the rice terraces- they’re very impressive! Such a great lists of cities in Bali. Nusa Dua seems to have beautiful resort fronts and a little more peaceful away from the crowds. I would to stay there if I could afford the pricey resorts. All the food in every town looks divine. I really want to try the peas, avocado and egg on toast dish. That dish was called Peas Please and it was so good! Everything that cafe did is awesome. I highly recommend it if you get the chance. I just found out I have a last-minute opportunity to go to Bali, so your guide came at the perfect time! Thanks for the great tips! Bali oh my Bali. Such a wonderful place. And thank You very much for your photos and great tips. Bali has many resorts i know. I will visit soo. I just bookmarked this post, lol! it will be helpful for me. I’m glad you found it useful! If you have any questions for me that I didn’t cover feel free to ask- I’m happy to help if I can. Bali is just the perfect place for a holiday! This was an amazing guide which will be very helpful for anyone travelling there! Thanks for sharing such a useful content. I am planning to visit this place in the new year. This post will be helpful for me. Thank again. Keep it up. You’re welcome! I’m glad you found it helpful. I hope you enjoy your trip!